If you are moving home, you will need a professional removal service that provides safe and timely delivery for the best price. Some of the primary factors to look out for in a good removals service are suitable supplies, technical expertise and professional management. When looking for a removals company to hire, it would do well to pick one that is familiar with the area you are moving to. Moving Service is one of the leading and trusted removals companies in Chalk Farm, NW1 that is known for providing a well trained and experienced team to assist you in your moving needs. We specialize in home and office removals in Chalk Farm and ensure that our services are customized according to your demands so that you can get better value for your money. Whether you need help in disassembling furniture, supplies for packing large, fragile and valuable items or transporting them from one home to another, we have the knowledge and expertise to provide you with the entire range of removal services available in the market. Our aim is to make moving houses or relocating offices simple, secure, stress-free and affordable with the assurance that you are dealing with a trustworthy removals company that cares about your possessions as much as you do. The area lies in the Borough of Camden and covers the postcode districts of NW1, NW3 and NW5. Located just north of Camden Town, it is home to popular celebrities like Jude Law and Sienna Miller. Transport links nearest to the area include Chalk Farm on the Edgware branch of the Northern Line and the nearest Overground stations are Kentish Town West and Camden Road. There are several bus routes that link this locality to the rest of London. Drawing influences from the nearby neighbourhoods of Primrose Hill and Camden Town, the area boasts of a lively social arena with a variety of pubs, restaurants and live music venues. The upper reaches of the area share a pastoral feel and panoramic scenes, akin to Primrose Hill. Yet, there is another side to the area where evenings are colourful with free-flowing drinks and live indie gigs and other notable performances at various venues across the district, including the Roundhouse. The residential population here is very unique and diverse and their vibrancy is bound to rub off on you, even if you have just moved. If you are moving to Chalk Farm, NW1 area and want to learn more about us before hiring us call us on 020 8746 4402. With so many years of service in home removals, we have accumulated the know-how to get your removals work done in the best possible way and relieve you and your family of the stress of moving. Our comprehensive services include doorstep delivery of packing supplies, packing and unpacking services, removal assessment services, transport and moving crew on hire, post-move clean-up, insurance, etc. 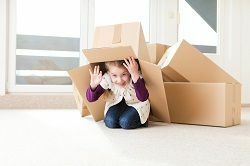 Whether you want to be actively involved in the move or leave the packing to the company crew, we will be happy to provide you assistance at every step of the process. Our friendly customer service team is always available to answer any queries you may have before, during or after the move. Customer satisfaction is our top priority; that is why our services are competitively priced at affordable rates. Our staff will be happy to design you a removals package that will ensure that you get the best deal to suit your budget, timeline and moving needs. So if you are looking for a quality removals service in Chalk Farm, look no further and give Moving Service a call on 020 8746 4402. As far as house removals go, Moving Service is the best in Chalk Farm. Affordable and prompt moving service.